The blankets are meant to help children cope with a newborn sibling’s death. 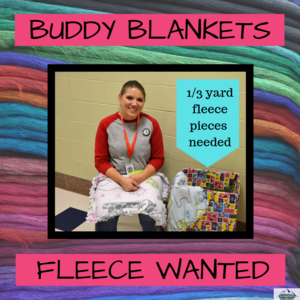 Five elementary schools are accepting donations for fleece material: Grantsville Elementary; Middle Canyon Elementary; Old Mill Elementary; Rose Springs Elementary; Stansbury Park Elementary. Eight years ago, Heidi Broderick, entered the hospital to give birth to her son, Joshua. She was only 21 weeks along in her pregnancy and knew his early arrival and a major birth defect meant he was not going to live long. One hour after he was born, he passed away. Broderick’s three older daughters were 2, 4, and 6 years old at the time. A receiving blanket was the only thing she had. So, she cut it into pieces and let each of them have a segment, keeping one for herself as well. Broderick and her daughters still have their piece of Joshua’s blanket today. Currently, Broderick serves as an Americorps Aide at Grantsville Elementary School. 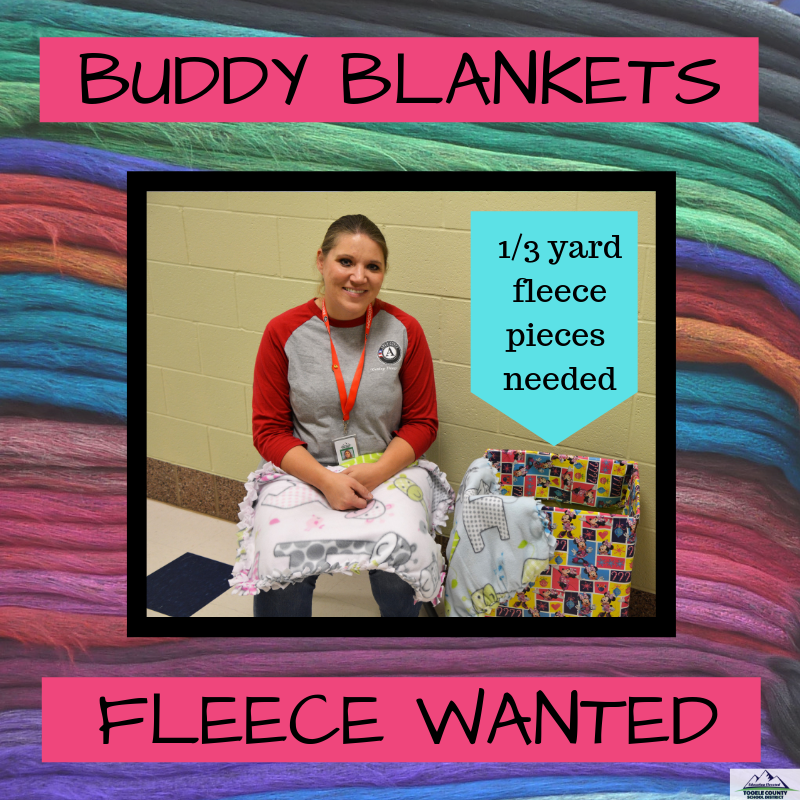 Each year Americorps Aides participate in a service project and because Broderick wants to help other families who may be facing a similar situation she has decided to make what she calls “buddy blankets” for the annual activity. They will be given to the siblings of babies who pass away while in the hospital. Broderick, along with four other Americorps Aides in the Tooele County School District, will assemble the blankets on Martin Luther King Jr. Day, Jan. 21, 2019. They are collecting fabric between now and then. Each blanket is made of two layers of fleece fabric cut to one-third of a yard. Other sizes of fleece are also welcome as they can be made into other items like scarves. The completed blankets will go to Mountain West Medical Center Labor and Delivery.